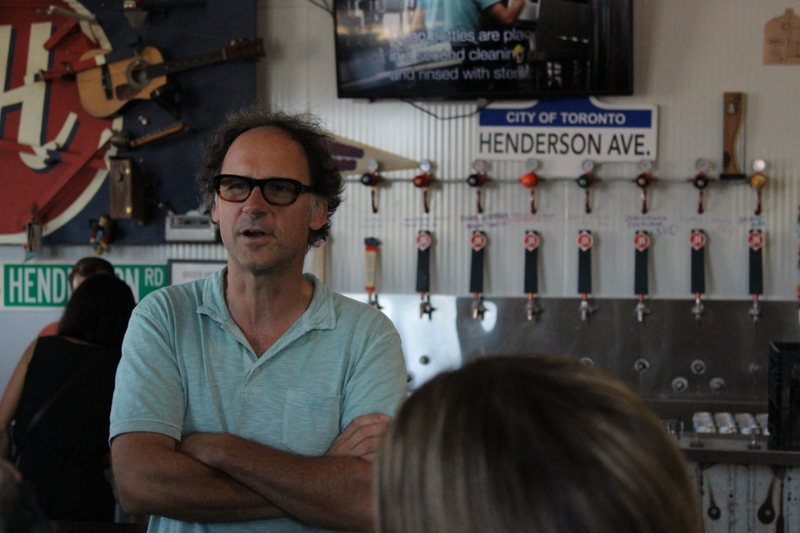 Steve Himel, GM at Henderson Brewing, chatting about Chicha. Photo by Jordan Coop. I’ve said it before and I’ll say it again — the best part of being a booze blogger are the random events you get invited to check out. Nowhere was this more true than when I got an invite to check out the “Maker Break: Henderson Brewing” collab they were doing with Gardiner Museum. 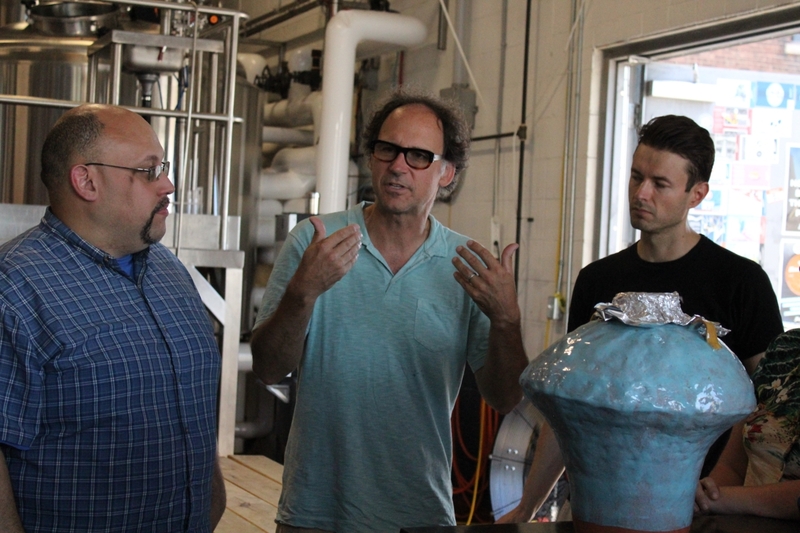 In essence Gardiner Museum is exploring the utility of ancient pottery techniques with local artisans, and Henderson was supplying the craft beer for the kilned clay. Well, “beer” might be a tad inaccurate. In fact, the fluid in question is an ancient fermented maize beverage called “Chicha” which was made by germinating maize (or masticating it in the brewers mouth) and letting it ferment in an earthenware vat for several days until it achieved the desirable flavour — or alcohol content. After being approached by the Gardiner Museum, Henderson was eager to take part, but braced for a challenge. But then Himel added something at the bottom of his email — a glimpse into what you might expect of the Chicha. Whatever affect the ceramic vessel might have had on the fluid it contains, it was certainly striking to look at. The bulbous vat looked something like a child’s drawing turned 3D, with it’s lumpy, organic shape and tinfoil cap. Frankly, I was surprised anything consumable could be produced from it — but produced it can. And it’s not the only thing ceramic can do, as the Gardiner Museum continues to explore. 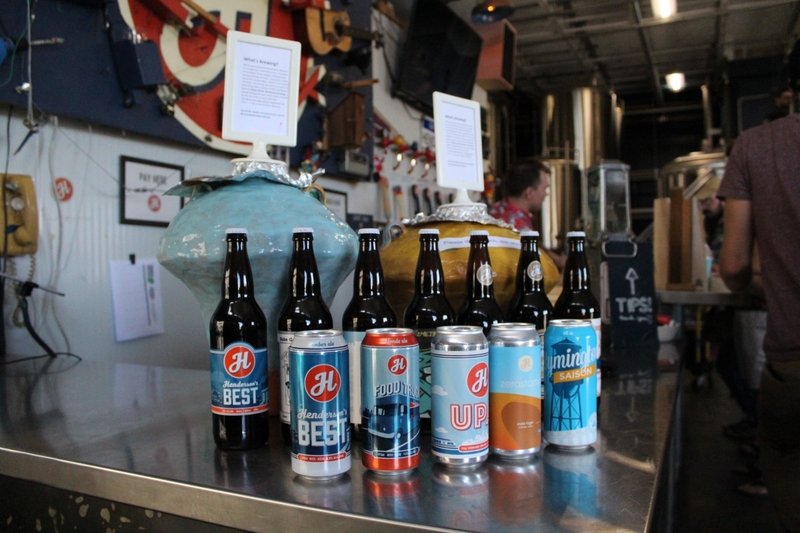 As part of this drive to work with local artisans, Gardiner Museum was excited to work with Henderson Brewing, a leader in the craft community. The Maker Break Chicha tasting is happening on September 29th and tickets are limited, so make your move quickly if you want to check out Chicha!